The shuttle services are free for GWorld Holders (please be prepared to show your ID to the shuttle driver). 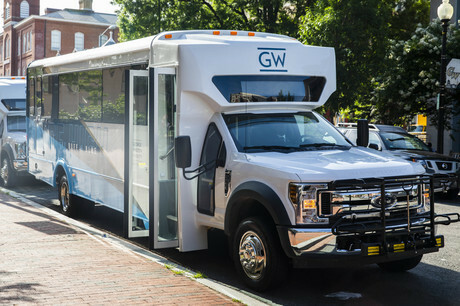 Please be aware that due to low ridership, GW Transportation will be eliminating the 9pm-9:15pm shuttle that departs from VSTC to Foggy Bottom beginning on Fri, Dec 21, 2018. This means that commencing with the first day of service after the University winter holiday on January 2nd, the last shuttle to depart VSTC to Foggy Bottom will be 6:05pm-6:20pm Mon-Fri.